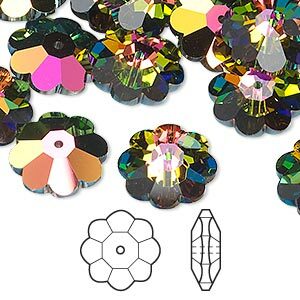 Bead, Swarovski® crystals, crystal vitrail medium, 8x3mm faceted margarita flower (3700). Sold per pkg of 12. 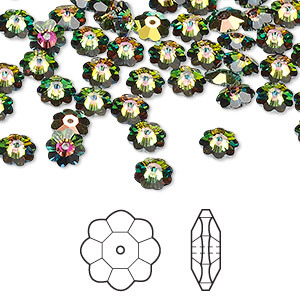 Item Number: H20-8891CY Have a question about this item? 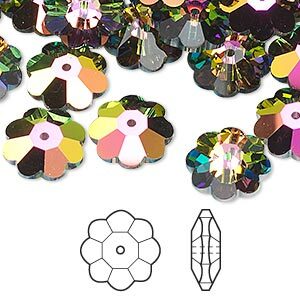 Sparkling Swarovski margarita flowers, center-drilled for use as buttons, sew-on embellishments or jewelry components. 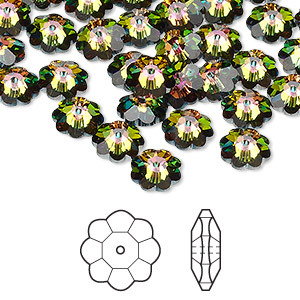 Pair with colorful Swarovski head pins for tiny bouquets. 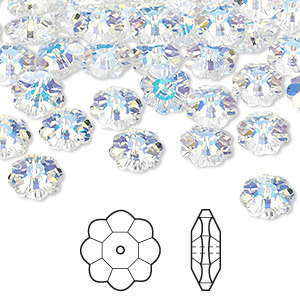 Bead, Swarovski® crystals, crystal vitrail medium, 8x3mm faceted margarita flower (3700). Sold per pkg of 144 (1 gross). 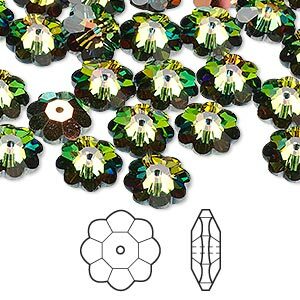 Bead, Swarovski® crystals, crystal vitrail medium, 8x3mm faceted margarita flower (3700). Sold per pkg of 288 (2 gross).